In Conservative Moments: Reading Conservative Texts, Mark Garnett brings together essays that reflect on a plethora of figures across the past two millennia of conservatism, including Edmund Burke, David Hume, Alexander Hamilton, Mustafa Kemal Atatürk and Margaret Thatcher. The book presents a condensed yet detailed account of conservative thought, writes Benjamin Law, that will leave readers with valuable nuggets of information and questions to ponder. Conservative Moments: Reading Conservative Texts. Mark Garnett (ed.). Bloomsbury Academic. 2018. Any student of political philosophy will come across looming figures such as Plato and Edmund Burke sooner or later. But in the new edited collection Conservative Moments, the reader is taken much further afield and introduced to a range of names across the past two millennia of conservatism, including David Hume, Alexander Hamilton, Michael Oakeshott, Charles de Gaulle, Mustafa Kemal Atatürk and Margaret Thatcher. The final product is a splendid introduction to right-wing political philosophy and its major thinkers. By sifting through the long tradition of conservatism presented in the book, the reader will certainly, in editor Mark Garnett’s words, ‘find themselves in possession of some valuable nuggets’ – which is a compliment to the contributions made by the authors of this short anthology. 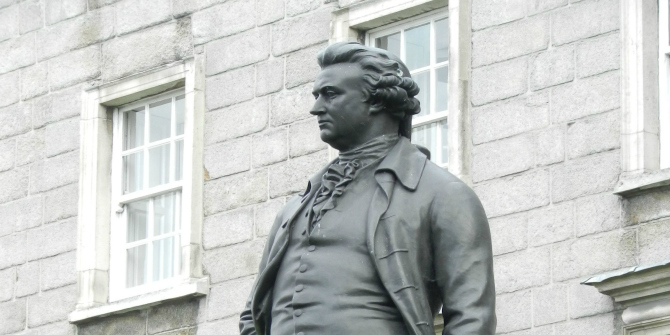 Given the mass of literature written about Burke and his political thought since his death in 1797, one could be forgiven for skipping yet another chapter on the topic. Yet, Garnett’s chapter on Burke´s idea of society and its relationship to his view of free-trade capitalism highlights an interesting conflict in Burkean thought. That Burke viewed society as an organic product sown together by tradition and custom is well-known. His revulsion at the world being turned upside down by the French Revolution was set down in black ink in his famous pamphlet, Reflections on the Revolution in France (1790). Garnett, however, argues that this is difficult to square with his view on the free market which, according to Burke, ‘was governed by immutable laws’. Garnett goes even further: Burke ‘expounded a free-market gospel with a zeal which made Adam Smith look like a socialist’. The problem therein is the question as to how immutable Burke believed economic laws to be. As Garnett suggests, should the actions of the market threaten the fabric of society, then surely ‘their (partial) suspension might seem appropriate’. As such, a potential for conflict between Burke’s view of society and the market arises. The fact that Cameron felt it necessary to ‘‘nudge’’ Britons towards community action suggests a recognition that atomized individualism – encouraged most notably by his own Conservative predecessor, Margaret Thatcher […] – had broken the first link in Burke’s beneficient series. In other words, modern conservatism is still trying to square the circle between individualism embodied by the market and the preservation of the bonds of society. It is a healthy reminder that as influential as Burke is to conservatism, he also leaves behind a certain paradox which still hasn’t been resolved after two hundred years. Conservative Moments talks extensively about the relationship of conservative thought to politics; yet its discussions on conservatism, religion and secularism are its most valuable contribution. W. J. Coats’s chapter on St Augustine in particular stands out. Writing just as the Goths were carrying the last pieces of plunder out of Rome, St Augustine is one of the most important figures in Christian theology. However, as Coats writes in his chapter, the fifth-century saint has an important place in the conservative canon. This comes from Augustine’s rather cynical view of the material world and its corrupting influence on the individual. According to Augustine, no salvation could come from the world of matter and any attempt to improve the human condition in that realm was doomed to failure. Here we see the genesis of the conservative tradition of viewing human nature pessimistically and the caution against directing history. Augustine opens up the debate between conservative and progressive thought since he cannot see how the end of history will bring ‘earthly justice’, which can only come from God’s grace. The ‘City of God’ in Augustinian writing is irrevocably a heavenly realm. This is understandable when one considers the time in which Augustine wrote: the earthly realm embodied by the supposed undying empire of Rome was under assault everywhere and the pillars of belief were being torn down as easily as the statues of the Caesars. Yet, as Coats points out, Augustine was also wary of divining God’s plan from history. If the path of history is unknowable then, as Augustine logically argues, nobody has the authority to force history in a particular direction. In short, Augustine is warning against figures who try to build societies according to an abstract political mould. Coats deftly shows not only how Augustine’s theological outlook on human nature and history influenced a secular conservative outlook throughout the past 1600 years, but also how it has been misinterpreted to justify ideological and religious wars and foreign misadventures up to the present day. Allen J. Fromherz’s chapter ‘Conservatism and Ibn Khaldun’, which discusses the life of one of Islam’s most prominent thinkers, takes the reader away from Western to Medieval Islamic conservatism. The chapter opens with the delicious example of how Sevillian oranges are a juicy yet sour representation of the corruptible nature of metropolitan life (and leaves the reader wondering whether Khaldun’s attitude to urban life would have been different had he tried Valencian oranges instead). Essentially, Khaldun’s view is that human nature can be corrupted by luxury and urban living. To remedy this, he believes we need to look back to the past, learn from it and build a new future. Importantly, Fromherz contextualises Khaldun in the tradition he lived in by painting a picture of fourteenth-century life in Islamic North Africa. This helps the reader understand why Khaldun desired a return to an incorruptible past founded in a pre-urban arcadia. At the same time, it is Khaldun’s use of the ideal past as a guide for an uncertain present that, for Fromherz, puts him firmly in the conservative camp. It is easy to see why. One can read the foreshadowing of the revulsion that the later Romantic poets such as William Wordsworth had for a rapidly urbanising world or current trends for reactionary nostalgia as a backlash against cosmopolitan liberalism. Yet, Khaldun represents a conflict in conservatism which transcends the Islamic tradition. As Fromherz puts it, conservatism according to Khaldun is ‘not only a recognition of the patterns of the past, it was an embrace of radical change in pursuit of reviving that past’, a sentiment that has been repeated by many conservatives: if things are to stay the same, they need to change. Conservative Moments is an introduction to conservative thought which deserves a place on any student’s bookshelf. The book not only discusses the long history of conservatism, but also asks some interesting questions for readers to take away and ponder. At the beginning of the book, Garnett expresses the hope that the essays will provide valuable nuggets. 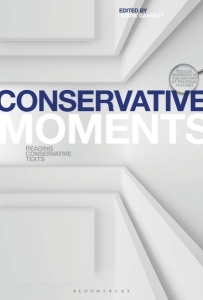 Conservative Moments achieves more than that, presenting the reader with a condensed yet detailed account of conservative thought. Benjamin Law studied both in the UK and Germany and holds a BA in Philosophy and History and an MA in History. In the past few years he has worked for an NGO, supporting the German education sector. Additionally, he has worked as an editor and translator on an array of academic texts and journals. He currently lives in the UK where he continues to work in the education sector.